As you get ready to board the plane to Israel, there are a few thoughts I want to share with you. It has been a pleasure, a joy, and a privilege having you as a child. But now you’re no longer a child, you are really a man. As you know, it’s with a potpourri of mixed feelings that we’re sending you off. On the one hand: we’re so excited for you and we trust you implicitly. We know it will probably be great for you to spread your wings, meet new people, hopefully make new friends, learn a new flavor of Torah, and have different, deeper, and broader experiences. We hope and daven that this opportunity will allow you to grow and thrive and flourish in healthy, spiritual, and exciting ways. 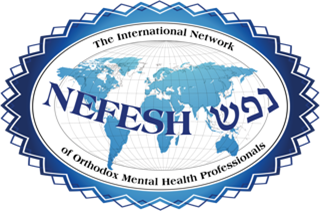 We hope it allows you to feel even more at home in yourself, closer to Hashem, and more connected with the people around you. We hope the Rabbeim at your Yeshiva will use their power and influence appropriately and healthily, to help and inspire you become the best you, without compromising on any real parts of yourself or the world around you. We know you have integrity beyond your years (you always didJ ) and an impressive sense of truth and goodness. Many 18 year olds are not mature enough to be sent so far from home; they’re either susceptible to dangerous peer pressure, or unhealthy religious pressure, both of which could interfere with your becoming the best version of you. While we all need to continually check in with ourselves to make sure we’re absorbing the right kind of influences from the people and institutions around us, I believe and hope that your inner filter and compass are strong and true. So on the other hand, it is with real trepidation that we send you to a place that will invariably present ideas and values from a certain unilateral perspective, eloquently and convincingly, and selecting the Torah sources that bolster those agendas, but we believe and hope that you will listen, sift, and integrate discerningly. Please be careful and safe- Israel is a holy beautiful country, with incredible people, but also a large population of evil people who want us violently dead- don’t forget that, and be very cautious when getting around; it’s easy to make a fatal wrong turn. Not all taxi drivers are safe. When you go out, please first map out where and how you’re going- especially on Shabbos and when you’re without navigation apps. It’s better to go with others and during daylight when possible, and please make sure there are always people who know where you’re supposed to be. We would also really appreciate your letting us know if/ when you’re going to be anywhere other than Yeshiva, both for your safety and our peace of mind. Remember also the dangers within. It’s sad and disturbing to have to spell this out but it happens. Many guys and girls have experiences in Yeshiva where people- Rabbeim or fellow students, overstep boundaries in very inappropriate, sometimes gradual or sneaky ways. Honor your instincts, if you feel uncomfortable with someone else’s behavior- student, Rebbe, friend or stranger, or any other person- even if no touch is involved, but especially if it is, try to get some distance as quickly as possible, and talk to us and we will help you calmly and discreetly extricate yourself from the situation. When you hear, see, or learn things that make you feel close to Hashem, close to other Jews and other people, and/or peaceful within yourself, embrace that limud, internalize it, and use it to develop your personhood- that’s the good stuff! If you hear, see, or learn things that make your feel detached from or terrified of Hashem, superior or condescending toward other Jews or other people, and/ or rejecting of yourself, notice that this is happening. If it’s coming from your own interpretations of things, try to edit and temper your inner thoughts, to make them more compassionate and loving of yourself and others. If it’s coming consistently from a specific person, shiur, or sefer, it might be worth creating some distance, and trying instead to align yourself with influences that move you more toward ahava, shalom, and simcha. I don’t mean that you shouldn’t challenge your assumptions, or think critically. I don’t even mean that it’s dangerous to change things about yourself, or disagree with others. But I think it was the Kotzker Rav who said something like: If I am me because you are you, and you are you because I am me, then I’m not me, and you’re not you. But if I’m me because I’m me, and you’re you because you’re you, then I’m me and you’re you. Meaning, espouse ideas, morals, values, and principles because they ring true and good to your keen mind, not because you heard someone wax sarcastic or deprecating about others. Learn Torah because it’s beautiful, and it enhances wisdom, not because anything outside of a beis medrash feels “treif”. Surround yourself with sincere peers and role models not because they present as though they’re better than others, but because they bring out the best in you. But also remember that there is something to learn from everyone. Beware the fire and brimstone mussar and insidious Rabbinic narcissism. Instead move toward the light, warmth, humility, wisdom, and smiles. Imbibe the ahavat Yisrael and ahavas ha’aretz, without the judgements about other people or places, or polarizing politics. Learn as much Torah as your heart desires- but not exclusively Gemara. Be inspired, work hard, but also keep asking questions. Form friendships, and laugh frequently, don’t take things too seriously- enjoy music, play piano, violin, and tennis. Try to find a way to do chessed even if it’s (unfortunately) not part of the official program- find an elderly person or someone with special needs and be contributive. Continue to read and seek knowledge and wisdom from a variety of sources, be kind and gentle. Buy and eat fresh fruits and vegetables, stay hydrated, exercise your mind, body, heart, and soul, try to get some fresh air regularly- literally and figuratively. When you go places for Shabbos or meals, please remember to be a considerate guest, even if many others are not so careful about these things; it would mean a lot to me to know that you are. Don’t call people at the last minute; try to put your Shabbos plans in place by Tuesday or Wednesday. Ask what time your hosts would like you to arrive; some people appreciate a heads up. Bring a gift- a baked good, or a box of candy or chocolate, with a widely accepted hashgacha (it’s complicated in Israel). Please be prepared to share a nice, brief dvar Torah on the Parsha, in case they ask for one. Go into the kitchen to offer to help serve, clear, and wash up. Not that you would forget, but remember to compliment the food, and thank them for having you. If you’re sleeping over, offer to strip the beds before you leave. Please, please, please, keep in touch with us- call, write, email, check in, allow us to be somewhat connected with you in your process and journey and we will try our best to give you space, and trust. We would like to hear from you at least twice a week, please. Remember you can always come to us with anything, and we will do our best to help you, even if we don’t always have immediate answers. We love you tonsandtonsandtons, we are always here for you, davening for you, thinking of you, believing in you, wanting the best for you in every way. May it be Hashem’s will that you find all you’re looking for this year and more- that you enjoy and appreciate the learning and the people, find inner peace, ahavas Hashem, ahavat Yisrael, depth and joy, good friendship, healthy confidence, inspiration, clarity, success, and personal growth. Thank you for the pleasure and privilege of raising you, for the nachas you’ve brought and continue to bring us, and for the way you enhance our family. We’re all better people for having you in our lives. If you can make time to keep in touch with your siblings, that would be wonderful- we will all miss you a lot! Thanks for indulging my need to share all this with you, and for generally being you. Have a fantastic Elul- we know you've got this, and we’re here to help in whatever way we can.